The 2018 Hyundai Tucson is a stylish compact-crossover SUV loaded with value. From its impressive standard and optional equipment to its turbocharged engine, the Tucson is all about delivering buyers a range of options to fit any budget. All-wheel drive is optional across the model range, but the turbocharged engine is offered only on the top two trims. Love my money saving vehicle! I love the way my car handles, gas mileage is good. Plenty of space and great safety features enables me to pi up groceries, gardening items easily. Feel protected with the navigation and safety warnings. Comforting to know you can call for assistance if needed. Leather seats are easy to take care of and don't worry about my fur baby riding in car. Enjoy the darkened windows so you are protected from sun and people are unable to see packages left in your vehicle when you go from store to store. Great vehicle le. Basic but practical, with great safety features. I currently have the basic model, no bells or whistles. It is slow and loud to accelerate but is comfortable and a smooth ride. The backup camera takes some getting used to but is a nice feature for added safety. Hands free phone is convenient but the touch screen control panel for all the features like the radio, etc. Can be distracting. Not a fan of the daytime lights but that can be dimmed or shut off. Overall, I love the Tucsons and they have high safety ratings. Hyundais in general are very reliable so you can trust that you won't need to spend a great deal on repairs but instead will get many years of consistent use. I just bought the car about 2 weeks ago, so I am not positive about everything yet, but I like that the interior is upgraded with Apple CarPlay and Bluetooth. It has a large touch screen which is very nice. It handles well and thus far gets good gas mileage. I used to have a Sante Fe, which was a bit large, and taller. I do wish this was a bit taller because I prefer sitting up higher in a car, but it is still better than how low a lot of sedans are. 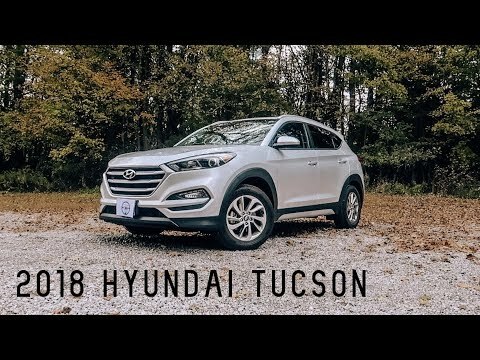 2018 Hyundai Tucson: FULL REVIEW | The Value Leader in a Hot Segment!